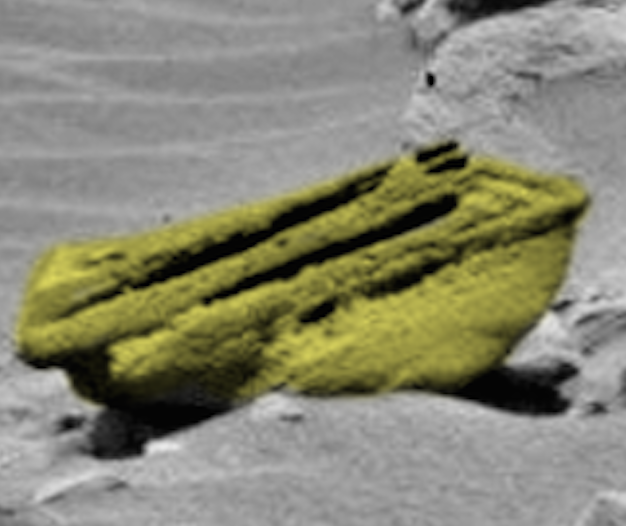 UFO SIGHTINGS DAILY: House and Panther Face Found On Mars, Nov 2015, Photos, UFO Sighting News. 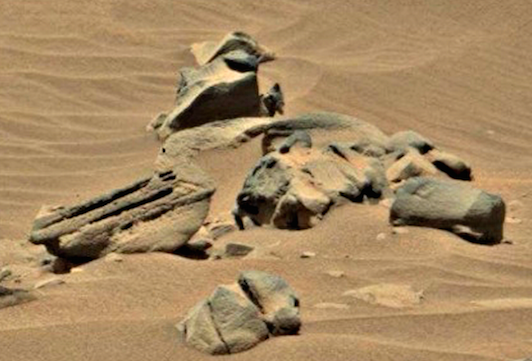 House and Panther Face Found On Mars, Nov 2015, Photos, UFO Sighting News. Here is a really strange looking object near a panther-like face. I think others have reported this before so I don't take credit, but I found it by accident again and it is intriguing. This bowl like structure is actually a part of a larger structure and it is upside-down. Its appears to have been used as a home. 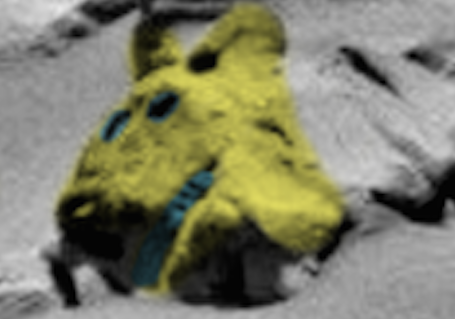 The cat is crude, but its teeth, ears and eyes, nose all indicate cat species once existed on Mars, but was it intelligent or not??? The person that sculpted this cat was, that we know.